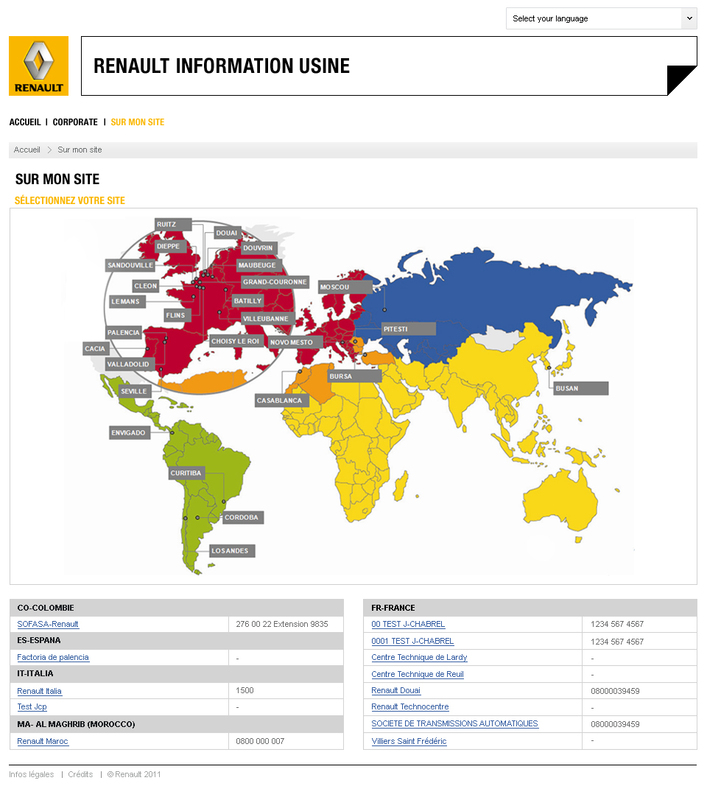 Here’s a blog that we made for Renault, in prevision of downtimes and technical unemployment after the Japanese tsunami. 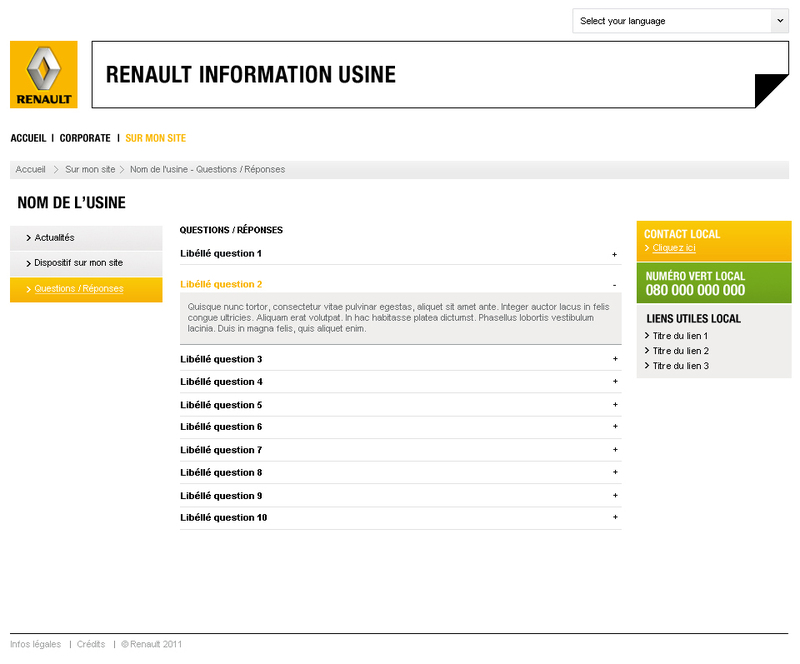 It is aimed to provide operational information to the workers and plant managers worldwide. The blog works in 9 languages (including the back-office) thanks to the premium version of wonderful WPML plugin. A staff of 38 local correspondants is allowed to push contents to the blog. 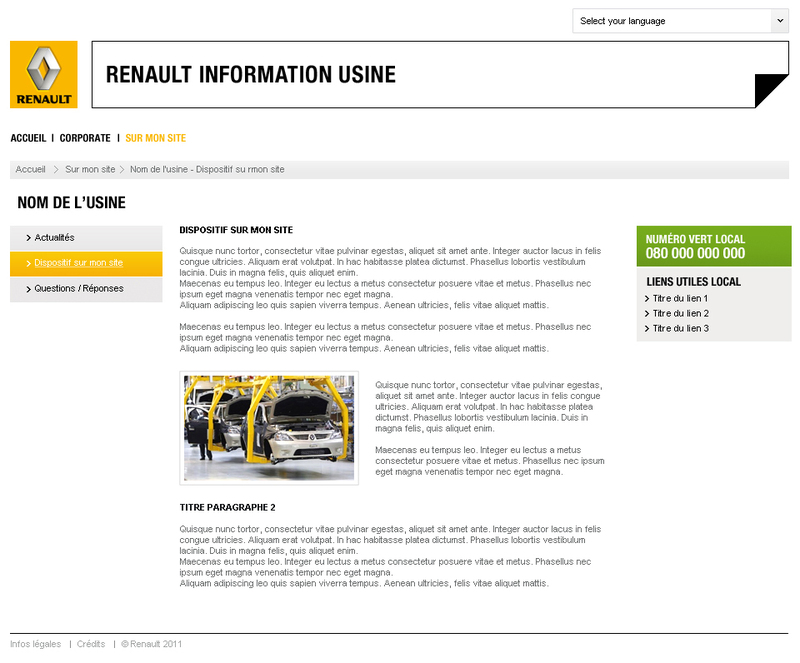 Each plant has its own micro-blog, thanks to the multisite functionality. 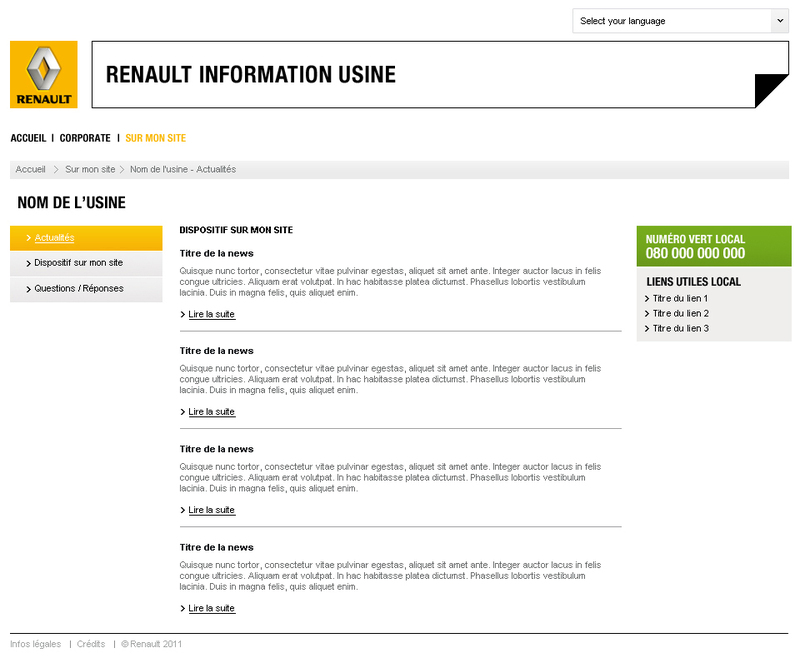 The homepage has multiple layout/columns capabilities, built-in the Theme that we built for Renault.